Retraction Watch readers will no doubt be familiar with the fact that retraction rates are rising, but one of the unanswered questions has been whether that increase is due to more misconduct, greater awareness, or some combination of the two. Are US behavioral science researchers more likely to exaggerate their results? When Retraction Watch readers think of problematic psychology research, their minds might naturally turn to Diederik Stapel, who now has 54 retractions under his belt. Dirk Smeesters might also tickle the neurons. But a look at our psychology category shows that psychology retractions are an international phenomenon. (Remember Marc Hauser?) And a new paper in the Proceedings of the National Academy of Sciences (PNAS) suggests that it’s behavioral science researchers in the U.S. who are more likely to exaggerate or cherry-pick their findings. For the new paper, Daniele Fanelli — whose 2009 paper in PLoS ONE contains some of the best data on the prevalence of misconduct — teamed up with John Ioannidis, well known for his work on “why most published research findings are false.” They looked at Continue reading Are US behavioral science researchers more likely to exaggerate their results? Posted on August 26, 2013 Author Ivan OranskyCategories daniele fanelli, psychology, studies about retractions6 Comments on Are US behavioral science researchers more likely to exaggerate their results? The title of this post is the title of a new study in PLOS ONE by three researchers whose names Retraction Watch readers may find familiar: Grant Steen, Arturo Casadevall, and Ferric Fang. Together and separately, they’ve examined retraction trends in a number of papers we’ve covered. 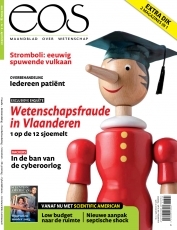 A recently released survey of Belgian scientists suggests that Flemish medical researchers admit to having made up or massaged data more often than their counterparts around their world. Today brings two journal editorials about misconduct and retractions. They take, if we may, a bit of an optimistic and perhaps even blindered approach. A new study out in the Proceedings of the National Academy of Sciences (PNAS) today finds that two-thirds of retractions are because of some form of misconduct — a figure that’s higher than previously thought, thanks to unhelpful retraction notices that cause us to beat our heads against the wall here at Retraction Watch. The study of 2,047 retractions in biomedical and life-science research articles in PubMed from 1973 until May 3, 2012 brings together three retraction researchers whose names may be familiar to Retraction Watch readers: Ferric Fang, Grant Steen, and Arturo Casadevall. Fang and Casadevall have published together, including on their Retraction Index, but this is the first paper by the trio.